A Fantastic Woman is a fitting title, but it truly does not do its subject, Marina (Daniela Vega in a truly splendid, gripping performance) justice. It shouldn’t be remarkable that an actual transgender woman is playing her, but such is the state of things. However, you needn’t see A Fantastic Woman out of a sense of charity or an obligation to support LGBTQ cinema. The film is fantastic in its own right, a wonderful portrait of grief and resilience. Marina is a waitress and aspiring singer who is in a relationship with Orlando (Francisco Reyes), a man 20 years her senior who owns his own company. The short time they share the screen is more than enough to convey how loving their bond and relationship is, with director Sebastián Lelio bringing the same compassionate intimacy he showed in Gloria. But heartbreak arrives on Marina’s birthday when Orlando falls ill. Marina rushes him to the hospital, only for him to die shortly after. And just like that, the fragile barrier between Marina and the outside world, which mostly views her very existence as an insult, collapses. Mourning itself soon becomes an unthinkable luxury, as Marina becomes the object of suspicion at best and outright maliciousness at worst. The policewoman who purports to be on her side can only conceive of her as a victim. Orlando’s son threatens to kick her out of the apartment she shared with Orlando. His ex-wife forbids her from attending the funeral. Even her dog is taken from her. But what is so remarkable about A Fantastic Woman is it is not the cruelty and humiliation Marina is forced to endure that holds our attention. It is Marina herself. Her identity means she must be strong in order to get through her everyday life, but Marina is always more than the box both those around her and lesser movies would put her in. For all she endures, she is always a person, never a victim. Part of that strength comes from Orlando, who remains a steady presence throughout, imparting strength, and above all, love. Their love, all the more remarkable for the hostility it provokes, is a kind of symbol of what is possible when people are able to truly see each other and respond with compassion. He is a reminder of the best we are capable of. If the movie gives her a moment that seems impossible, their bond makes it possible. And given all the obstacles Marina must overcome simply to mourn, you can’t blame the film for giving her a kind of magical closure, since it refuses to give her the conventional sort. However, that is also the only flaw in A Fantastic Woman. Marina has built bonds with those who don’t seem to be offended by her presence, but all of her close ties, with the exception of her sister, seem to be with older men. Every other demographic seems repulsed by her. It would’ve been nice if she had a few other female friends to bond with, seeing as how part of the revulsion against trans women is also due to a fear of women as well as the men who would violate the central tenets of traditional masculinity. Those ironclad rules firmly state that a man should never be vulnerable, and he should certainly never attempt to emulate women in any way. Marina’s vulnerability, and her decision to live as a woman rather than conform to the gender identity she was born with, is a slap in the face to a conservative worldview. 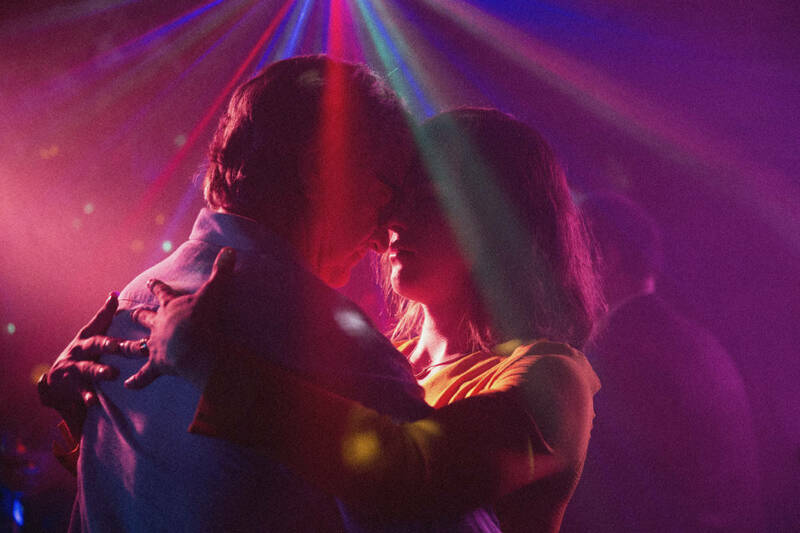 A Fantastic Woman is a gripping portrait of resilience in the face of grief and hatred.